Are you spending too much time on documentation? 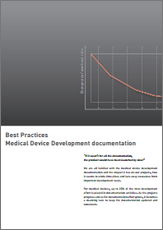 Medical device documentation inefficiencies proliferate throughout the industry. When primary focus is compliance, the documentation process efficiency often gets overlooked. Use our self assessment to uncover, identify and eliminate inefficiencies in your organization. Compiling the Design History File takes a considerable effort, often significantly more than initially anticipated. There is, however, great optimizations waiting to be discovered once you take a close look at the DHF process! Is the design documentation process delaying your product release? 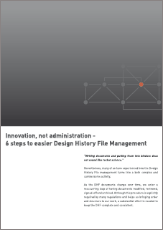 Learn more about the best practices that speeds up the DHF management process. 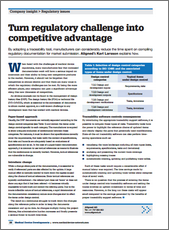 Save time, free up resources and ensure regulatory compliance. Document your product once and use intelligent document reuse to save time and money. If several of your medical devices contain the same components, it might make sense to modularize your DHF documentation. 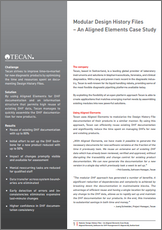 Read more about how Tecan reduced its time to produce DHFs by applying a modular development documentation approach. 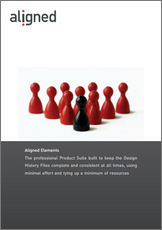 Learn more about how Aligned Elements can speed up the medical device development process and free up valuable resources. Aligned Elements is a Medical Device ALM software written for Medical Device experts by Medical Device experts, taking both daily ease-of-use as well as regulatory compliance challenges into account. Requirement Management for medical device development. Regulatory demands on the requirement elicitation process and structure can have unforseen effects. 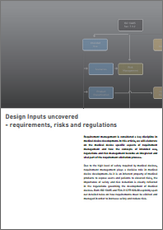 Find out more about the particular implications induced by the medical device regulations during the design input elicitation process. Traceability is a core concept in Medical Device design documentation. Find out how the effect of the required traceability increases the DHF complexity and why paper based documentation is inherently inept to deal with the challenges of the constantly changing DHF trace structure. In this Risk Management survey we cover the conventions used by four medical device companies to comply with ISO 14971. Aligned Elements flexible reporting allows full flexibility in the look-and-feel of the Word output. 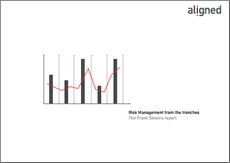 The reporting includes Design Items, trace tables, FMEA tables, risk summaries and much more. 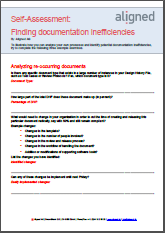 Some examples of applied reporting layouts are presented in this document. 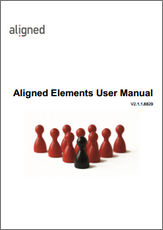 The complete Aligned Elements user manual available for download. 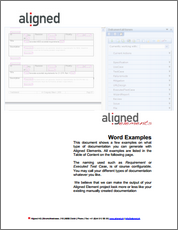 The reference document for the functionality of Aligned Elements. The Aligned Elements importer is used to import DHF content from existing Word, Excel and CSV files such as requirement documents, specifications and risk assessments. 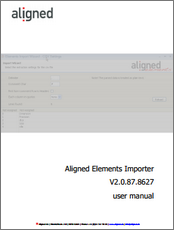 This user manual describes the configuration options available for the Aligned Elements document importer.